The primary purpose of low level Drop Ships is as a tank. At lower levels, the sole function and purpose of the Drop Ships is to support the Beta Minions by keeping them alive in the attack. They take fire from the Roaster, FireCrackers, and even a few hits from Airbombs along the way. Anyone who follows my strategy guides and videos knows - I move from ground attacks to air attacks with the Beta Minion at BH4 and I carry the Mass Beta Minion strategy forward all the way to BH6 where I sometimes switch to Mitch, then at BH7 I move to Minion Drops. The use of a single camp of Drop Ships as tanks is how I begin the transition from Mass Beta Minion to Minion Drops and it works well at lower levels and trophy rankings. From L8-L14, I change my strategy, using either 2 or 3 camps of Drop Ships. The decision is actually somewhat arbitrary - most bases, it can go either way. The primary deciding factor is the initial point of deployment and how far into the base the Beta Minions need to go. If the Beta Minions need to chew through a bunch of buildings, then it’s better to have more of them to do so *BUT* if the most damaging of the key defenses are at the very back of this collection of buildings, you’ll need more tanking (or they’ll just die as they reach the back of the base) so you’re better off with more Drop Ships. Often, when I go up against a base with more L7 defenses, I will go with with just 2 camps so I can take advantage of the extra striking power of a third camp of Beta Minions. Minion Drops is a two part attack - the initial attack is Beta Minions and Drop Ships, the second part is the Battle Machine. 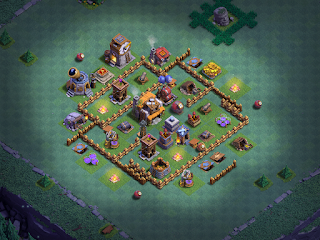 Your initial attack should be to secure the 2-star (so 50% + Builder Hall) and remove the Giant Cannon, Roaster, and as many other defenses as possible. This sets it up for the Battle Machine to come in and run clean up. If the initial attack fails to remove the Giant Cannon and Roaster, the attack will almost certainly be a failure; if it gets the key defenses but misses the BH, you’re likely looking at a low to mid percentage result. Likewise, if the initial attack gets all of the key defenses including one or both of the Double Cannons and one or both of the Crushers, you’ll most likely be looking at a three star. Getting the BH is even more important if you go up against an anti-barb base that has the BH ringed with walls - your Battle Machine will generally NOT be able to get it in clean up. Deployment strategies can also be a bit varied. The deployment point will depend upon the layout of key defenses, specifically the defenses that will take down your Beta Minions - AirBombs and Roaster. In the case of base designs where the AirBombs and/or Roaster are set toward the outside of the base…you can usually bum rush them and take them out early. (Not that you have to; you can just as easily leave them both to the end and I often do!) Most designs aren’t that simple; you’ll usually find the Roaster and AirBombs set two or three rows behind other buildings, mostly centralized around the BH itself. This is where you’ll have to get creative with your deployment. I typically deploy on the side opposite the AirBombs, preferring to save them for the Battle Machine clean-up phase of the attack. I send in 2, 3, or 4 Drop Ships to tank for the Beta Minions and trickle the remaining Drop Ships into the base, timed in such a way as to essentially replace the previous units just as they go down. This is important as it’s the only way to reduce their natural tendency to clump up in a group. 2 Drop Ships to start will deal with smaller deployment lines and take take out any MegaMines set to air, as well as grab the initial target lock of air defenses. It doesn’t take many shots from an Archer Tower to remove a few Beta minions, and the Roaster can decimate a line in no time; the initial line will prevent those heavy losses. I frequently find two Drop Ships adequate to task as tanks while my Beta Minions break through the front lines of buildings, especially for smaller/tighter base designs. If your deployment line is longer, you’ll want to expand the line of Drop Ships to 3 or 4. Remember: the important thing here is to clear the mine field and draw the fire of air targeting defenses so your Beta Minions can form a line BEHIND the Drop Ships. Is there ever a good time to drop the Beta Minions first…? Absolutely - if your opponent has high HP structures sitting outside the wall or set apart from the second line of buildings and within the walls, you’ll want to take those out. A good base design tries to direct the attacker’s deployment by creating obstacles to deployment strategies. Drop Ships will go for the closest buildings and this base design (3 rectangles, side-by-side, off center, with two buildings at the bottom of the middle one) is good for drawing them together to just one or two structures, creating a clump that splash defenses can hit as a group. Just be sure to feel the area out for mines first. Another base design that takes advantage of the clumping nature of Drop Ships, places one or even two lines of buildings along the most likely deployment side with low HP structures on the outside and high HP structures toward the center of the line. This draws troops deployed toward the outer edges into the middle where splash defenses can easily target them. Early deployment of Beta Minions helps prevent this tactic from working as well. Timing, though, is EVERYTHING. Whether the Drop Ships go down first or the Beta Minions, you need to time both so that the enemy defenses lock on to the Drop Ships first. If they hit your Beta Minions first, your attack will not be as successful. That initial drop should also be spread out a little bit, but not too far. You want your deployment line tight enough to trigger Mines and MegaMines set to air but wide enough to lock the Drop Ships on different defenses so they do not clump. Keep to the goal of the initial attack - 2-star, Roaster and Giant Cannon. These are your primary objectives. I’ve had cases where my initial attack was over in less than a minute and the Battle Machine spent the next 2 minutes cleaning up the base. The companion video to this article is 18 minutes of Minion Drop goodness. Lots of replays using L4, L8 and L9, L12, and L14 Drop Ships with L14 Beta Minions and a variety of Battle Machine levels. The first two replays will be of particular interest to those who have just recently unlocked Drop Ships as I take just one camp and use them purely as a tank.